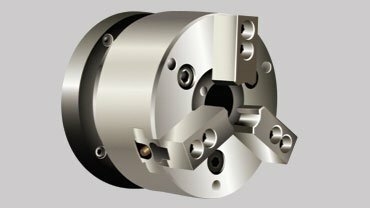 The GT mini is built from a rigid Meehanite casting base allowing to hold a tolerance of 0.0001”. The Mini also comes standard with a powerful 6000 RPM spindle motor and the machines slides have 712 inches per minute rapids. 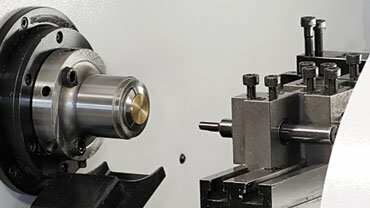 GT mini is a small lathe ideal both for working on bar stock fed through a bar feeder or 2nd operations loaded by an operator into a chuck. GT mini allows you to use shop floor space efficiently, its foot print measures only 48”x40”. The compact size becomes a great advantage when you need to organize machines to into production cells. 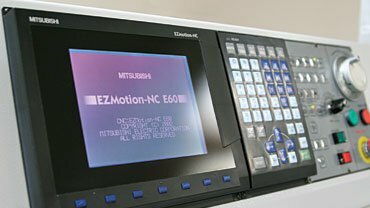 Mitsubishi 64 bit CNC control paired with Mitsubishi digital AC servo drives provide the ultimate in precision and control. 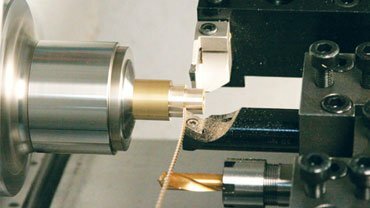 GT mini is designed to hold tight tolerance (0.0001”) all day long. GT mini uses gang-type tooling for increased accuracy and speed over turret-based designs. Unlike on a turret, the tools on a gang tool plate don’t move around, gang tool can achieve better positioning accuracy and there’s no time lost to turret indexing. 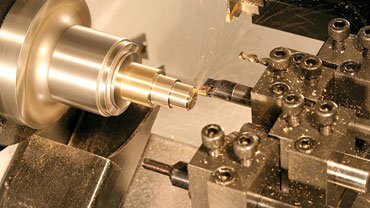 Gang tool layout is proven to reduce cycle times while maintaining superior quality. GT mini comes with a standard tooling package at no extra cost. Bar capacity is 1.02” (26mm). A variety of bar feeders are available directly from Cubic Machinery to reduce setup time and to reduce shipping cost. 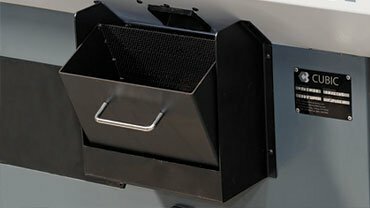 Air-operated, M-code controlled parts catcher comes standard. 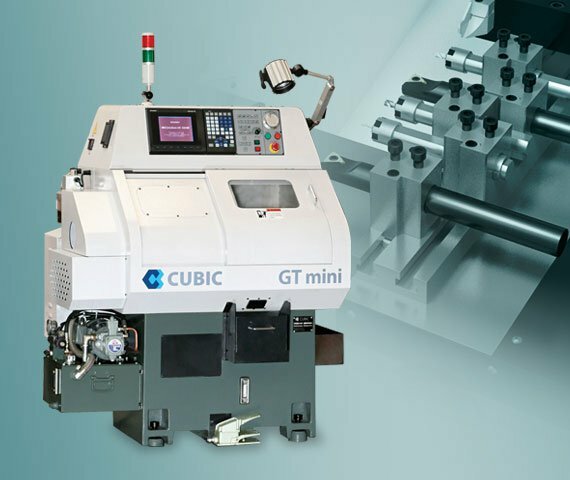 GT mini can operate unattended with optional bar feed unit, making parts out of bar stock for long stretches of time, dramatically reducing your labor cost.